The intent of writing this book was not to scare anyone but to make everyone of us, including myself, aware of the fact that there is life after death. Our soul keeps on living in another dimension. We are all accountable for our actions, thoughts, and intentions during our lifetime. Therefore, we must all be kind to one another, out of love for one another and not out of fear of retribution, so we can make this world a better place. After all, it is not only for the benefit of the people close to us and others we encounter during our lifetime but for our own as well. If you are true to yourself, pursue the truth, and are not afraid to face it, then this book is for you. We must all strive to become better people for everyone's sake, including ourselves. There is judgment and a Judge after we die, and we must attest in front of the Judge to all of our actions, intentions, and thoughts during our lifetime here on earth. Jill (AKA Gilberte) Amar was born in Rabat, Morocco. At the age of 12, she immigrated to Israel with her family. After studying psychology at Tel Aviv University, Jill moved to New York at the age of 21. She owned 5 stores with her husband and after her divorce, moved to Los Angeles. She worked as a trilingual tour guide at Universal Studios as well as a city guide for foreign groups with Allied Tours. 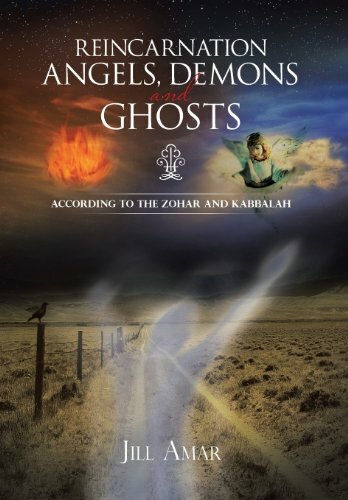 Jill was prompted to write this book after attending Kabbalah classes and Torah lectures conducted by Rabbi Elyahu Kin in Los Angeles. The concept of the spiritual world, the metaphysical realm, and the afterlife set off a spark in the author, who felt that the knowledge and insights she gained could contribute to "Tikkun Olam" - repairing the world - by sharing these messages with society as a whole. Jill is fluent in 5 languages and is a special projects manager for JLTV.